New_York is not the form you're looking for?Search for another form here. 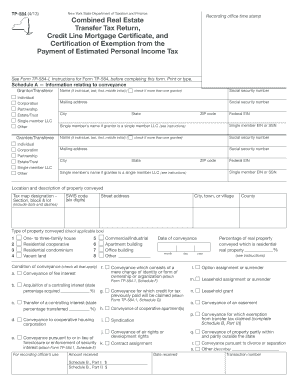 The deed form must comply with New York requirements for the form of a ... A " Real Property Transfer Report" (RP 5217) form must be completed and signed. 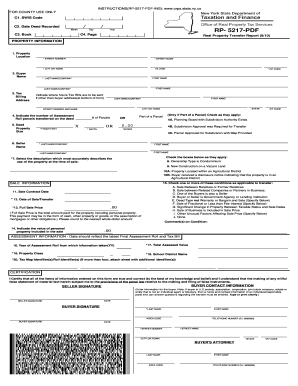 Suffolk County Clerk Recording Endorsement Form, Note: Must be printed on legal size (8 1/2 x ... RP-5217- I, Real Property Transfer Report Form Instructions. Book Day RP- 5217-PDF Year C4. 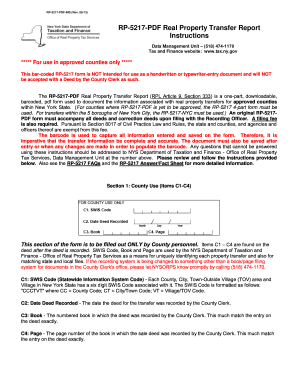 Page Real Property Transfer Report 8/10 PROPERTY INFORMATION Clear Form 1. INSTRUCTIONS RP-5217-PDF-INS www. orps. state.